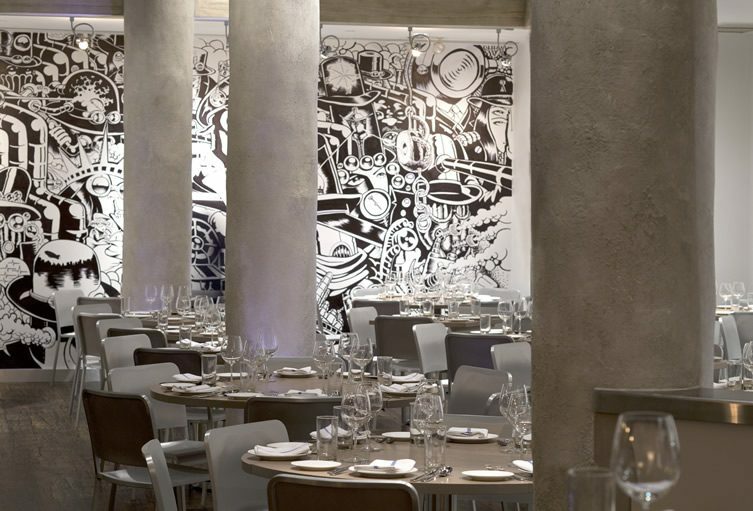 No one could accuse the creative minds behind Trattoria Il Mulino of going overboard on the interior of their recently opened Gramercy venue. 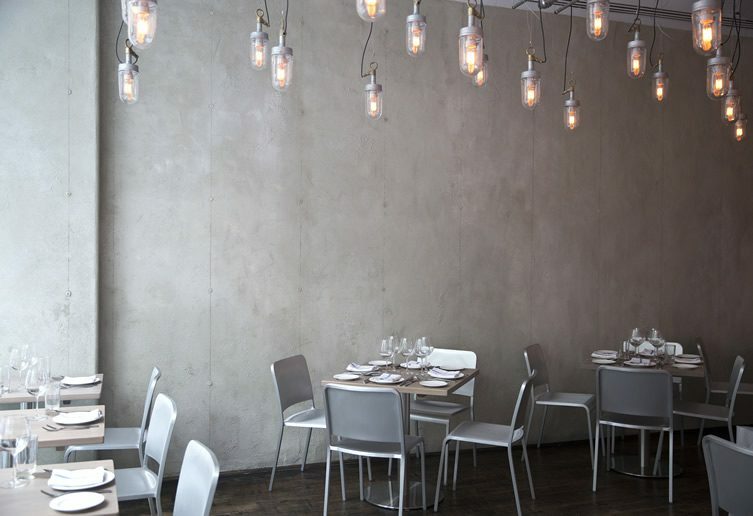 Designers Lee Katzoff and Rozhia Tabnak have certainly left the plates of Abbruzese cuisine room to shine by employing a super-muted pallete of pale grey and stainless steel. 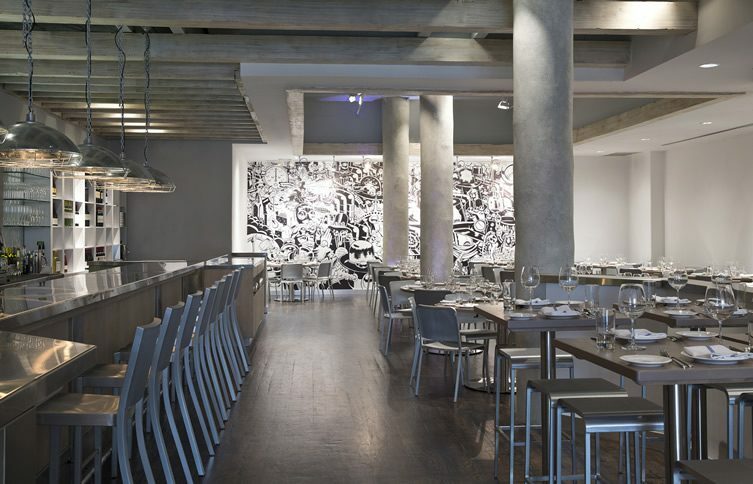 Walls, floor, ceiling struts and columns of concrete dominate the dining area – only the exposed light fixtures and dark piping provide what one might call decorative frivolity amid the urban austerity. 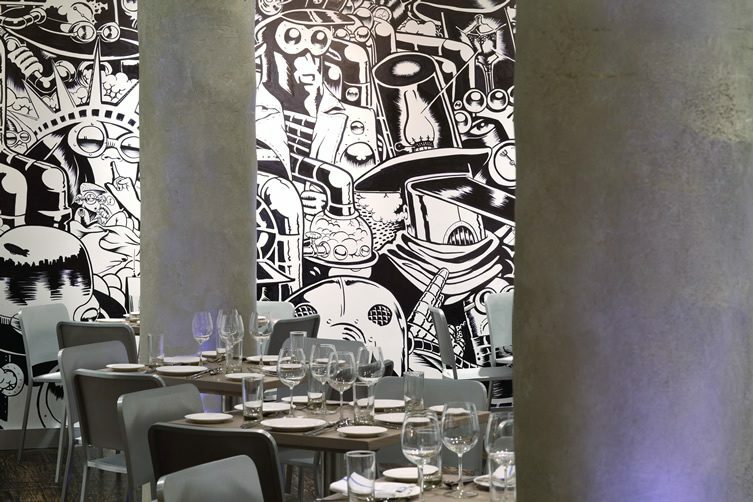 The industrial aesthetic was intended as a counterpoint to the duo’s more classically decorated Il Mulino New York Uptown, with this restaurant aimed at the ‘trendy’ professionals of New York’s clientele spectrum who inhabit the downtown area. 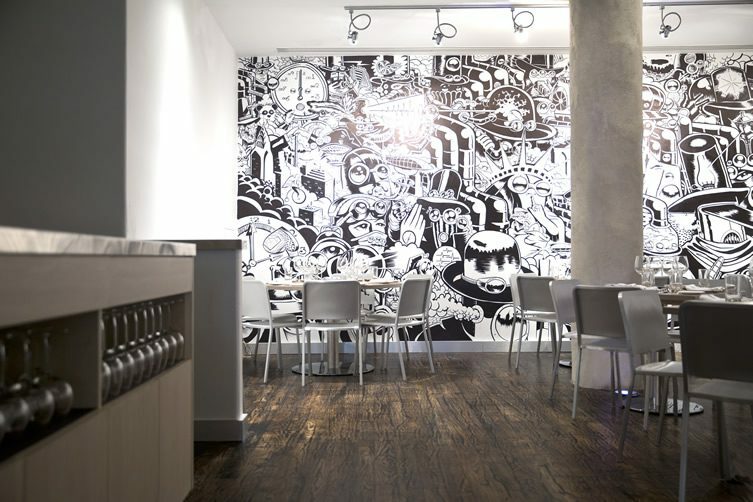 To that end, the main design feature at the low-key Trattoria Il Mulino is the wall taken over by Vancouver mural-meister Tim Barnard, who specialises in monochrome designs like the NYC-inspired steampunk one here. Ask for a table at the back.